Successful people and organisations often have sophisticated financial needs, but have little time to properly reflect on those needs, goals and objectives, conduct relevant research and source appropriate solutions. Our Personal Financial Planning Process covers your needs. Our ongoing service and value to you. To develop these strategies and implement a plan for your financial future, we will take you through our process. Your personalised Financial Planning Process begins with us introducing ourselves, explaining our company’s background and areas of expertise, and the types of products and services we provide. We will also spend time getting to know you so that we can gain an understanding of your needs and be in a position to share how we can be of help. At the end of the meeting, if you are interested in our services, we can decide upon the best procedure moving forward for us to help you achieve your financial goals. We will also provide you with a Financial Services Guide, an Ongoing Service Brochure, Service Fee Agreement and the Financial Advisor Representative profile, which will further outline our services as well as give you an indication of the types of fees you are likely to incur. This initial meeting is normally free of charge. During the information gathering meeting, we will ask you to help us complete a Client Discovery Questionnaire with your most up to date financial information, so that we can fully and thoroughly understand your current status including life stage, financial needs, goals and attitude to risk. This questionnaire gives the background information we need to then research and develop the most appropriate and tailored financial plan to help achieve your goals. It is therefore important for you to be as accurate and helpful as possible with the information you give us. After reviewing the fact-find and analysis undertaken (with the involvement of our Wealth Solutions and Investment Research Team, as applicable), we present our bespoke Statement of Advice (SOA) to you. We take you through the contents, the analysis and any recommendations (explaining the features, benefits and charges). This SOA currently carries no charge. Assuming you wish to move forward to implement some/all of our advice, we will answer any final questions and complete the necessary paperwork with you. 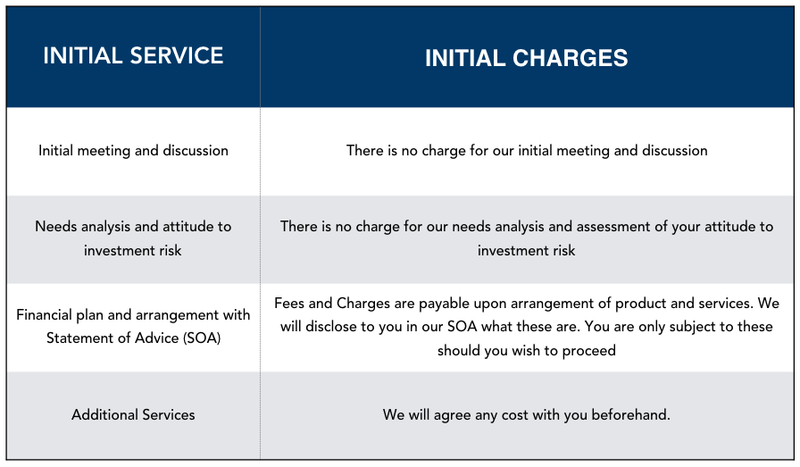 Any charge for implementation and ongoing advice is contained in our SOA. Ordinarily, all fees (which may be subject to GST) will be paid to AAM by the recommended institution(s) on your behalf. At AAM we believe that financial planning is more than the initial advice given when we begin our journey with you. We place as much, if not more weight on regular reviews to ensure you remain on track as your circumstances change and your goals / priorities evolve. It is with this in mind that AAM support you through Ongoing Service throughout all stages of your life. Our ongoing advice and reviews can be tailored to suit your individual needs. 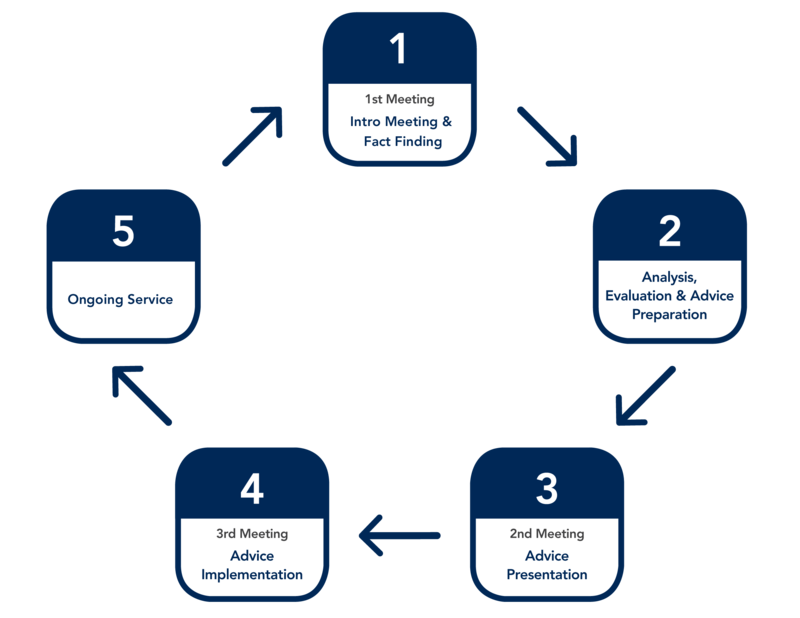 We can offer you three levels of Ongoing Service designed to ensure that advice and solutions remain relevant to your circumstances. Details of what is included in each level, and our charges for each, are mentioned in the Ongoing Service Brochure, which will be provided to you in your first meeting.